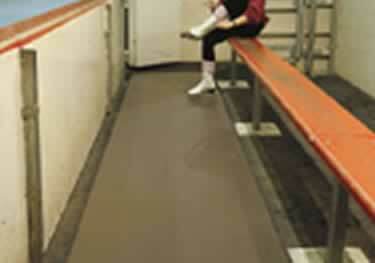 A vinyl runner designed to prevent excessive damage to floors from ice skates, spikes and other types of athletic foot wear. Starting at $290.80. Thousands of rubber "finger tips" for scraping. Molded, one-piece, easy-to-clean heavy-duty. Ideal for high traffic areas. Starting at $45.16. Hi-tech vinyl floor comes in sections. Protects from chairs, tables, street shoes, etc. Starting at $0.00. 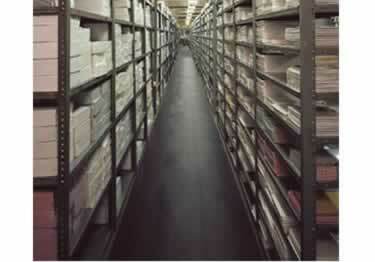 Used in corridors, aisles, lobbies, warehouses, and vending areas. 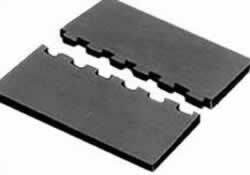 This runner protects floors and deadens noise. Starting at $638.89. Excellent brushing action, water absorption, durability & heavy-duty performance. 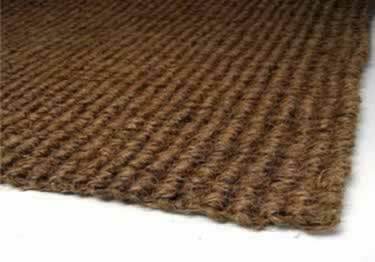 100% natural premium coconut coir fiber. Starting at $16.33. 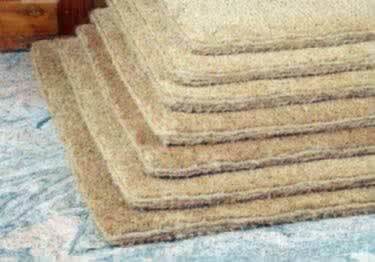 All-natural coconut coir fiber mat for durability & functionality. Six different widths to choose from. Starting at $226.76. Indoor/outdoor, extra-heavy, rubber runner. 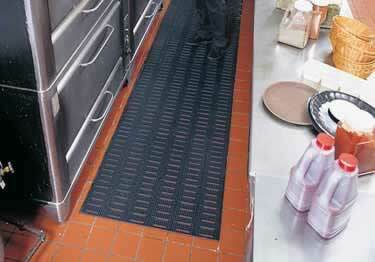 Prevents slips while providing a cushioning effect. Starting at $930.62. 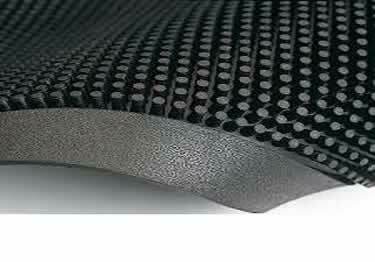 These thick, resilient rubber floor mats will protect against weights, spiked shoes, and ice skates. Starting at $0.00. 1x1 Meter. 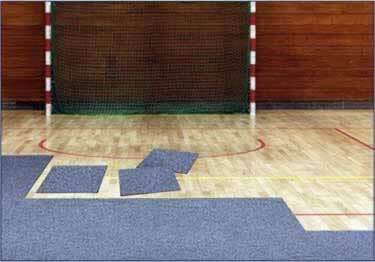 Portable protection for flooring. Quick installation. Durable enough to withstand chairs, tables, carts & more. On sale now, 10% off regular price. Starting at $32.48.